While air shipping is an important method for moving your freight internationally, when it comes to domestic shipments, ground shipping often makes the most sense. 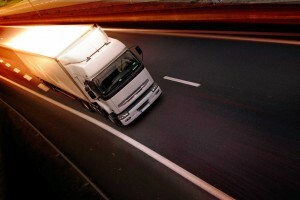 Ground logistics can be customized to meet the specific needs of your freight and adhere to your budget and timeline. In addition, it is an excellent shipping option for both short and long-distance shipments. Learn more about the benefits of ground shipping in today’s blog, below. Ground shipping is often the best choice for domestic shipments. When you need a flexible and cost-effective domestic shipping option, ground shipping is often the way to go. If you have a shipment that will not fill an entire truck then less-than-truckload (LTL) shipping will allow you to pay for only the truck space that you will use. LTL shipping services are ideal for shipments of up to 15,000 pounds and at AFP Global Logistics, we can ensure that your LTL shipment will make it to its destination within seven business days or less. For shipments over 15,000 pounds, full truckload shipping (FTL) offers the ideal domestic solution. Your goods will be placed on a truck that is dedicated to your shipment which means the delivery route will be direct and efficient. Depending on the distance, your FTL shipment will make it to its final destination within 2-7 business days and we can even offer the option of guaranteed delivery. Whether you require a refrigerated truck or a flatbed, we can provide the right vehicle for the needs of your shipment. When you need a ground shipping option that will put your needs first, trust the professionals at AFP Global Logistics. For a customized ground shipping logistics handling experience that places your needs above all else, AFP Global Logistics is the best and only choice! We provide a full range of shipping services, and our 25 years in the business have given us the tools we need to tailor our logistic solutions to each and every individual customer. For more information or to start designing your own logistic solutions today, get in touch with AFP at 410.590.1234 (toll-free 800.274.1237), email us at info@afplus.com, or fill out our quick and easy contact form here! This entry was posted on Thursday, April 21st, 2016	at 11:13 am	and is filed under Domestic Shipping	. You can follow any responses to this entry through the RSS 2.0	feed. Both comments and pings are currently closed.